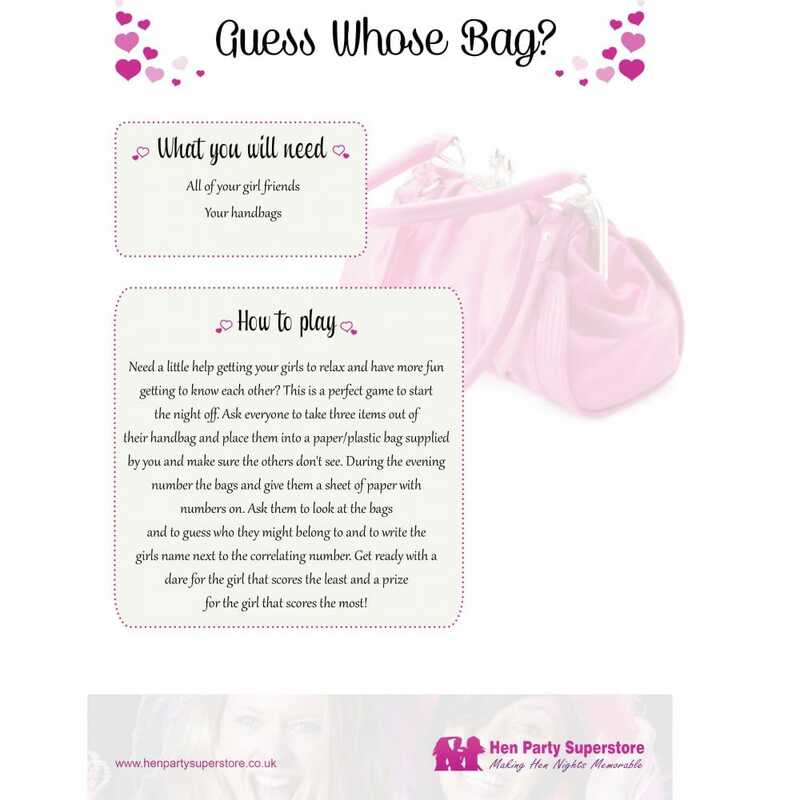 This is a great game to really start your hen party and get everyone more familiar with each other. Just think the naughtier the item, the better, and the bigger the laughs. This way, the Hens are less likely to guess whose bag the products actually belong in...... or are they? !